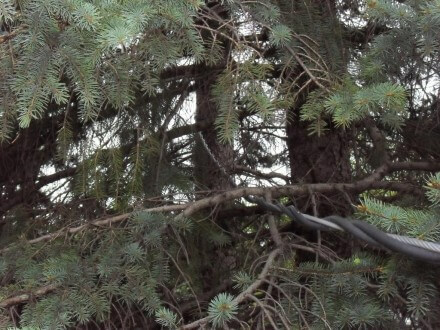 According to Xcel Energy, tree branches in contact with the overhead power lines between the pole and house are the responsibility of the homeowner. 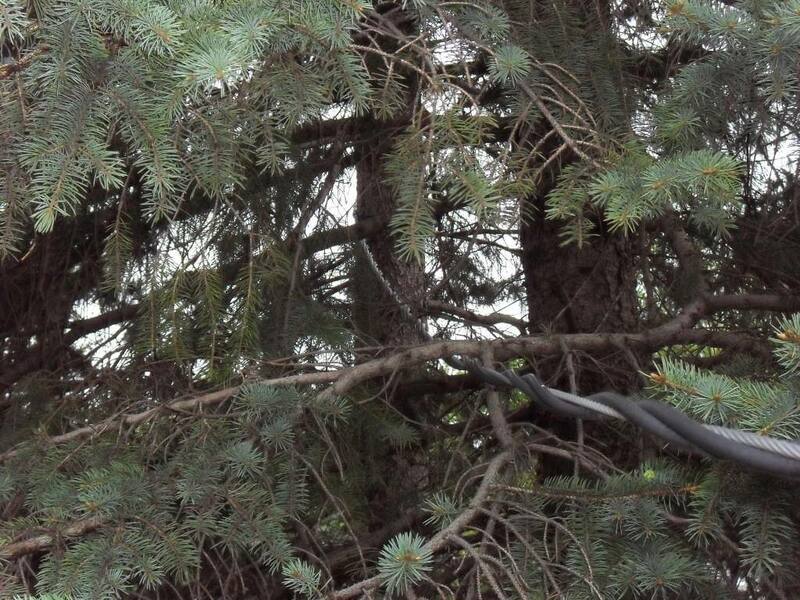 I suppose this is only fair; tree maintenance should be the responsibility of the homeowner; not the power company. Before trimming trees around overhead power lines, you should contact Xcel Energy to have your service temporarily disconnected. The one exception is if a tree branch falls on to one of the overhead power lines. If this happens, it’s considered an immediate safety hazard. Xcel energy will take care of this issue at no charge to the owner. 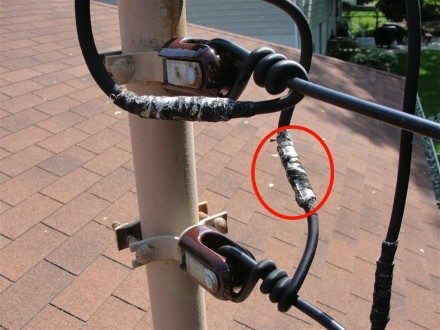 Exposed conductors / shock hazards. The power company owns the overhead conductors and the clamps that connect them. The diagram below shows the parts that are owned by the utility company and the parts that are owned by the homeowner. 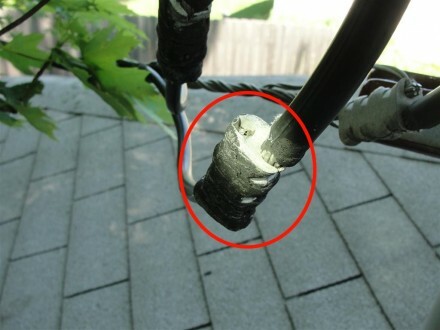 If there is frayed or damaged insulation on the conductors owned by the power company, they’ll fix it at no cost to the owner. 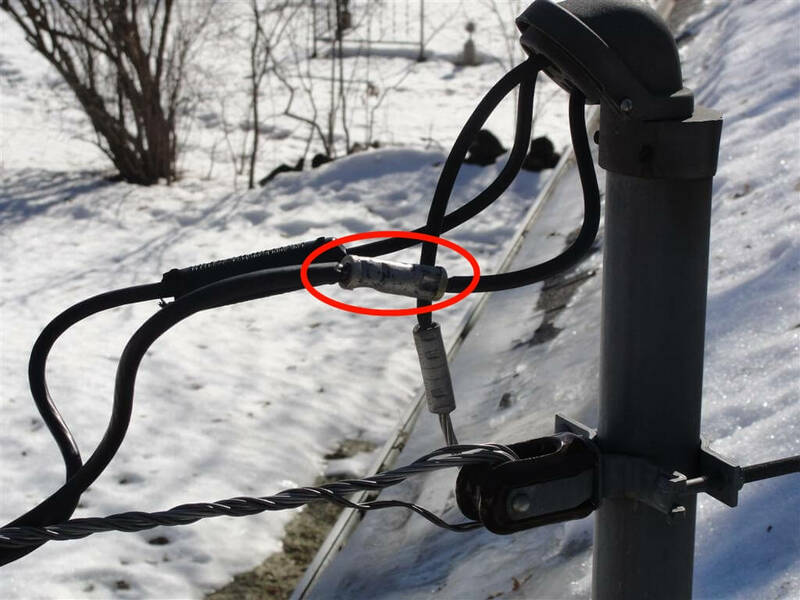 Also, if there are exposed clamps, Xcel Energy will correct this at no cost. The photos below all came from houses that I've inspected this year where there were exposed clamps, or ferrules, connecting the utility lines to the house. These are all immediate safety hazards that should be repaired by the utility company. While you may be thinking to yourself "but those are too high to even reach"... just imagine waving around an aluminum roof rake after a heavy snow fall. Scary, huh? p.s. 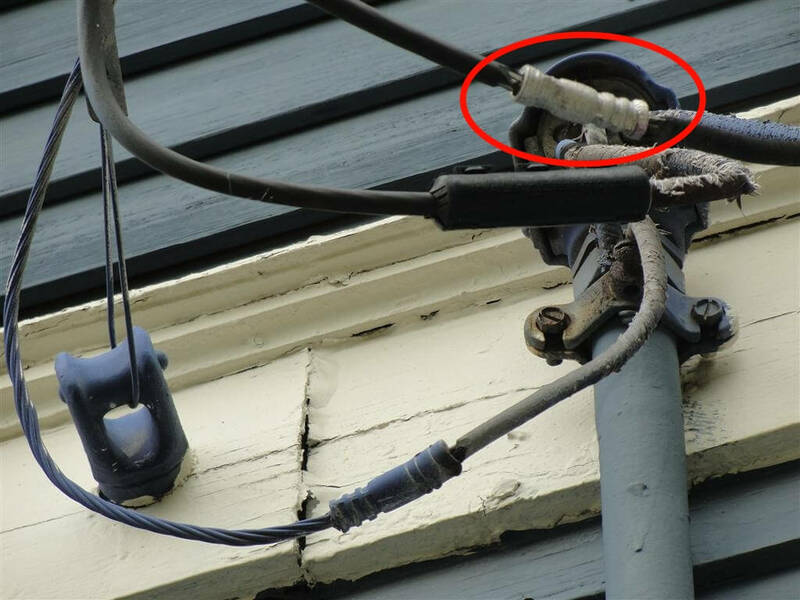 - the proper name for the overhead power lines that come in to the home is "service drop". I say overhead power lines because this is what everyone else them.